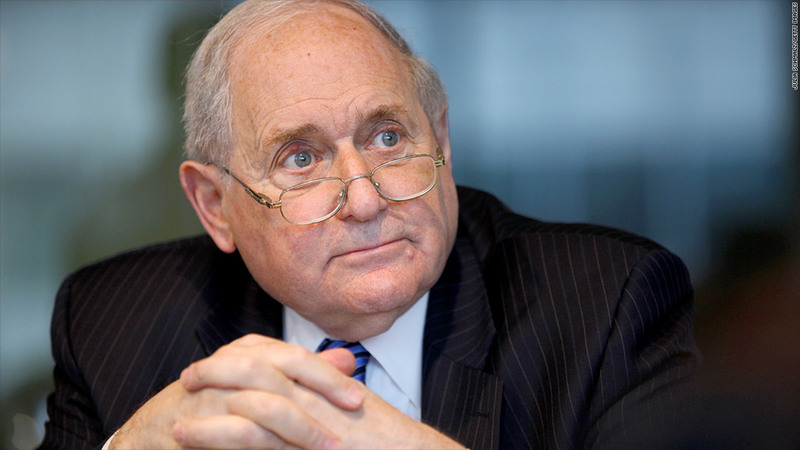 Sen. Carl Levin, chairman of a Senate investigations subcommittee, asserts that Caterpillar shifted billions of U.S.-generated profits in its lucrative parts business to a Swiss affiliate. Caterpillar, the maker of industrial equipment, avoided or deferred $2.4 billion in U.S. taxes over a 13-year period by shifting profits to a Swiss affiliate. That was the main assertion of a Senate subcommittee majority report and the subject of a hearing on Tuesday. The report is part of the Senate Permanent Subcommittee on Investigation's decade-long focus on whether some U.S. multinationals' tax strategies violate the spirit -- if not the letter -- of tax laws and rules. Subcommittee Chairman Carl Levin, a Michigan Democrat, conducted the hearing Tuesday at which Caterpillar (CAT) executives and representatives of its accounting firm, PricewaterhouseCoopers, testified. According to Levin's report, before 1999, Caterpillar booked the vast majority of its profits from replacement part sales to non-U.S. customers in the United States. After 1999, it only booked 15% or less of them, shifting 85% or more of those profits to the Swiss unit. "Though the lion's share of Caterpillar's international parts profits shifted to its Swiss affiliate, the heart and soul of Caterpillar's business stayed right here in the United States," Levin said at the hearing. That is, the bulk of the company's worldwide parts business -- such as research, design, manufacturing and storage -- continues to be conducted in the United States, he asserted. More than half of Caterpillar's 8,300 parts employees work in the United States, including "almost all" of the senior parts executives, according to Levin's report, while just 65 employees working on parts are based in Switzerland. The implication is that Caterpillar might not have been operating in accordance with what's known as the economic substance doctrine, which says that a company can't engage in a transaction strictly for tax purposes. There must be a good business reason, too. Caterpillar Vice President Julie Lagacy defended the company's decision. "Caterpillar's philosophy is that our business structure drives our tax structure. We do not invent artificial tax structures," Lagacy said Tuesday. Before 1999, she explained, Caterpillar U.S. was "an unnecessary middleman" in the Swiss affiliate's operations and that caused the company to incur "unnecessary expenses." The restructuring after 1999 was "prudent, lawful business planning," she said. Levin also expressed serious doubt that moving profits to the Swiss affiliate met the so-called "arms-length" standard. The affiliate did pay Caterpillar a license fee -- but the question is did the unit pay as much as an outside party would have been asked to pay, or was it a sweetheart deal for the affiliate? Levin is clear where he stands. "Caterpillar U.S. receives only 15% of future profits from the operation it developed and continues to run. No business would relinquish 85% of the ongoing profits in exchange for 15% of the profits." Lagacy asserted that "everything we've done has been at an arms-length standard." Caterpillar, of course, isn't the only company that Levin's subcommittee has scrutinized. Last year, for instance, it focused on Apple's businesses in Ireland. And both Levin and the subcommittee's top Republican, Sen. John McCain, presented a united front on Apple's tax strategies. This year, though, McCain didn't sign on to the Caterpillar report. At the hearing, he indicated that the report's conclusions may have been premature. Other Republicans on the subcommittee used the hearing as an opportunity to assert their desire for a lower corporate tax rate. "To me, the problem here is not Caterpillar. It's the broken tax code," said Sen. Ron Johnson of Wisconsin.